H. Ginsberg, The Life and Times of Adenoviruses. T. Omura and J. Yin, Role of Outer Capsid Proteins in Transmission of Phytoreovirus by Insect Vectors. J.M. Taylor, Replication of Human Hepatitis Delta Virus: Influence of Studies on Subviral Plant Pathogens. E.A. Fortunato and D.H. Spector, Regulation of Human Cytomeglaovirus Gene Expression. P.J. Lewis and L.A. Babiuk, DNA Vaccines: A Review. J. Ortin, A. Portela, T. Zurcher, and A. Nieto, Replication of Orthomyxoviruses. K. Subbarao, Influenza Vaccines: Present and Future. G. Air, A.A. Ghate, and S.J. Stray, Influenza Neuraminidase as Target for Antivirals. J. Curran and D. Kolakoshy, Replication of Paramyxoviruses. P.L. Collins, S.S. Whitehead, A. Burkreyev, R. Fearns, M.N. Teng, K. Juhasz, R.M. Chanock, and B.R. Murphy, Design of Live-attenuated Recombinant Vaccine Virus for Human Respiratory Syncytial Virus by Reverse Genetics. J.O. 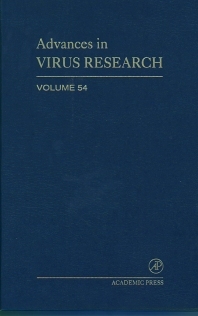 Hendley, Clinical Virology of Rhinoviruses. Virologists, microbiologists, immunologists, molecular biologists, biomedical researchers, pathologists, and plant researchers.